In the library of the Alliance Evangelical Divinity School in Anaheim, California, I find Pastor Tai Nguyen hanging up a series of photos with an air of nostalgia, visual reminders of evangelism and his ministry in Vietnam before 1975. These photos connect back to his time serving with the U.S.-based Vietnamese District of the Christian and Missionary Alliance (C&MA). High on the library wall is a gray metal bridge standing with the cross. Pastor Nguyen tells me that this bridge “connects believers from Vietnam to all the places they fled to”. He tells his story of building bridges in his many prestigious positions from using his American education to ministering in refugee camps, in giving hope for a new church and in uniting his compatriots through the gospel. His story serves as a testament to the power in saying “yes” to God’s callings and choosing to build bridges within difficult spaces. As a child, I heard stories of Pastor Nguyen’s accolades, and I am honored to meet him face to face. 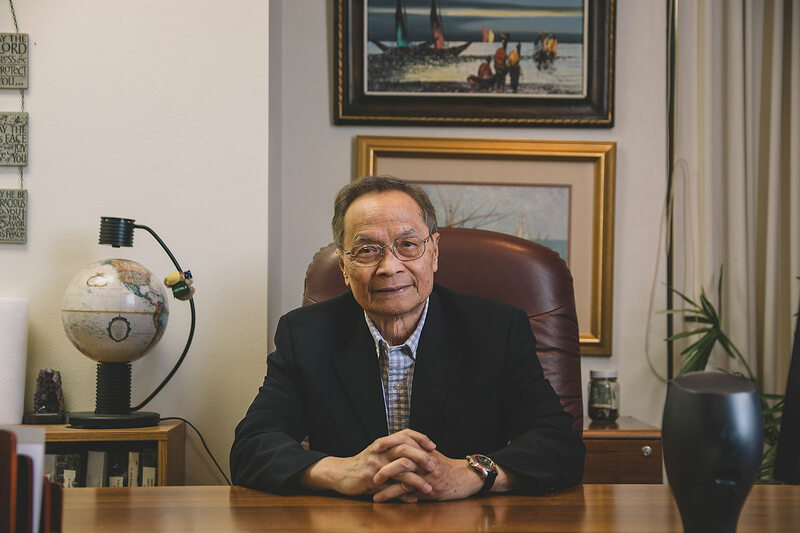 This man exemplifies trust in God’s greater plan for Vietnamese and Vietnamese Americans; he supported the work I am glad to call my own faith legacy. 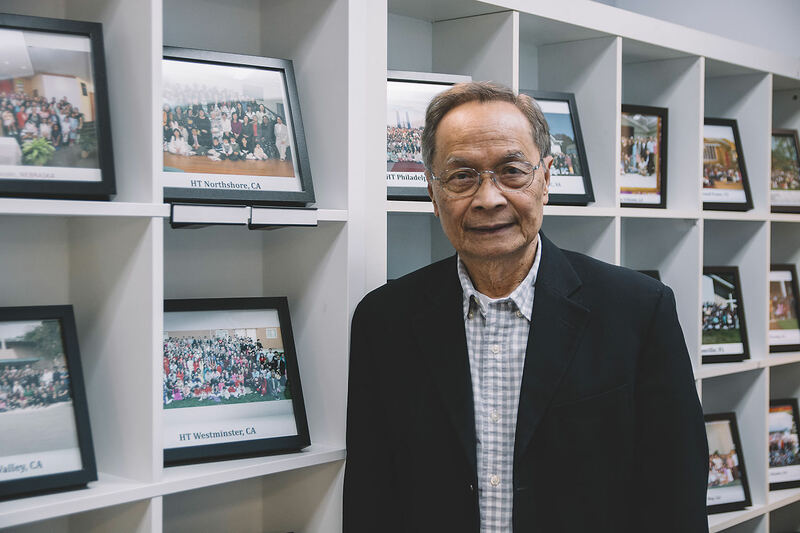 In 1978, Pastor Nguyen and 30 other pastors who had to leave their homeland decided to use their trauma as an opportunity to build another community of Christ in their new home. Pastor Nguyen and 30 other pastors who had to leave their homeland decided to use their trauma as an opportunity to build another community of Christ in their new home. The Vietnamese C&MA Church was a pivotal part of my upbringing; in 1988, my father immigrated from Greece, where our family was sponsored, to become the pastor of the church in Boston. Growing up, I was able to encounter Jesus in deeper spaces through my culture. As I stand in Pastor Nguyen’s office, I recognize that his collaborative leadership and faith set in motion a spiritual growth in the midst of rampant Vietnamese migrations. The values of perseverance and eternal hope have helped build the faith that weaves into my time in college, and in the workplace today. To hear his story, I ask him to start at the beginning of the timeline. Before 1975, Vietnamese immigrants in the United States were recorded as migrant workers or exchange students — if they were documented at all. In the April of 1975, with the Fall of Saigon looming, many military personnel and urban educated professionals associated with the United States fled on scheduled flights and military jets. They were the first wave migrating in fear of punishment following the new government’s rise. As thousands poured in, the Vietnamese population in the U.S. doubled roughly every decade between 1980 and 2000, making immigrants from Vietnam the sixth largest immigrant group after Mexico, India, China, the Philippines, and El Salvador as of 2014. Vietnamese population in the U.S. doubled roughly every decade between 1980 and 2000, making immigrants from Vietnam the sixth largest immigrant group. In the late 1970s, the second wave arrived — “boat people”. They mostly came from rural areas and migrated out of desperation due to famine, seized businesses, or persecution. Many Vietnamese people, especially those living in rural communities, did not have the opportunity to study English prior to their hurried departures, making their transitions into new countries difficult. 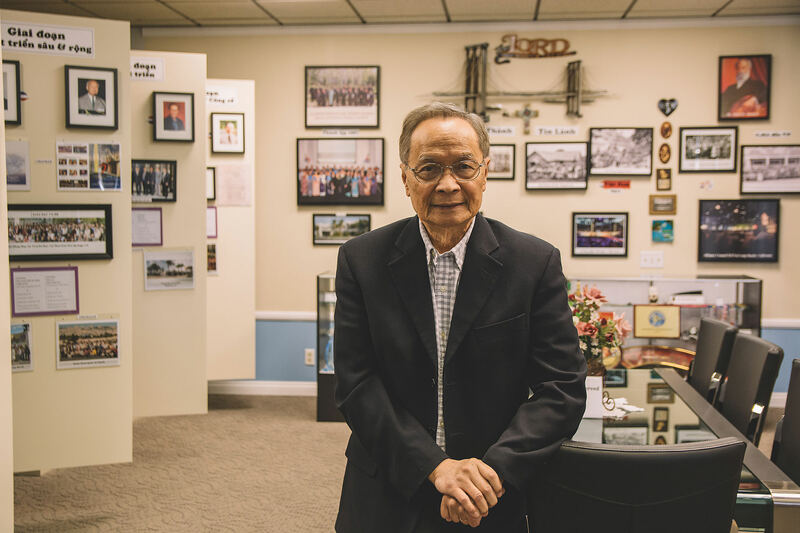 Pastor Nguyen’s first time in the United States was not in 1975, but in 1968. He had gotten a scholarship to attend Wheaton College in Illinois, and felt out of place. Other pastors from the C&MA had recognized his dedication while collaborating on a mission trip to the indigenous mountain people of Vietnam, and nominated him to pursue his graduate degree in divinity in the U.S.
Because he was not able to support his whole family, Pastor Nguyen left his middle children in Vietnam, and came to the U.S. with only his wife, oldest son, and youngest son. During his time, Pastor Nguyen acquired the English language and an understanding of American culture. He knew that this was a gift to prepare him to help transition the thousands who would come to the land of freedom, but were at a loss on how to communicate their language, basic needs, and war traumas. This was a gift to prepare him to help transition the thousands who would come to the land of freedom, but be at a loss on how to communicate their language, basic needs, and war traumas. After obtaining his degree and expanding his family with his fifth son born in Illinois, he was offered to continue studying for his doctorate. However, the tensions at home were coming to a climax and his thoughts were with his two sons and his homeland. With anxiety, he and his family returned to Saigon, Vietnam, to continue ministry for 18 months before the war came to an end. The events after the Fall of Saigon are well known. Through various operations and partnerships, the United States evacuated thousands of Vietnamese citizens leading up to and after April 30, 1975. The influx of refugees were processed in the Philippines or Guam, and eventually began migration to the United States, Australia, Canada, 0r Europe. Pastor Nguyen followed suit but God had another challenge for him — to be a minister among his fellow refugees wherever he went. Facing the reality that approval for government support of refugees could take months or years, he prayed for provision in this call. The Lord’s provision was found in Pastor Nguyen’s 2-year old son. Because their fifth son was born in the U.S., the Nguyen’s did not need to wait for a sponsor from an organization; they had a familial tie to the U.S., and their process was expedited. Pastor Nguyen took this blessing seriously, knowing the Lord asked him once more to trust the unforeseen. Pastor Nguyen took this blessing seriously, knowing the Lord asked him once more to trust the unforeseen. Soon after arriving to California, the C&MA sent him to the refugee camp at Fort Chafee, Arkansas, as chaplain. He helped teach practical English and met with the other chaplains from other religious backgrounds to discuss upcoming plans for how he could support refugees with English language development, job skills, culture, and Bible classes. Pastor Nguyen worked tirelessly to find sponsorships, and followed up with those who had left the refugee camp to see how they were adjusting to their new lives. While preaching and interpreting sermons for C&MA missionaries, Pastor Nguyen saw 966 new believers in seven month, 633 of whom were baptized. To this day, those two numbers are the most important numbers in his lifetime of serving God, he notes. In December 1975, Fort Chafee began to close. Pastor Nguyen and his family set off to open the first Vietnamese C&MA church in the Northeast. Lancaster, Pennsylvania, was not a major city like Saigon, but was heavily populated with Vietnamese refugees who settled from the camp at Fort Indiantown Gap about 40 miles away. Experienced in leading churches in Vietnam and the bitter cold of Illinois, Pastor Nguyen served over a decade in church planting throughout the Eastern Seaboard — Philadelphia, Harrisburg, Boston, and Vermont. As he faced difficulties with discrimination and local city red tape, Pastor Nguyen still persevered to find churches in Lancaster, Newark, Harrisburg, and Washington, D.C. As a result, people who were once displaced by war were able to find church homes they could call their own once again. Through all this, Pastor Nguyen reflects on the biggest lesson he learned: Obey the Lord even when nothing seems promising. Obey the Lord even when nothing seems promising. After 13 years of building the foundations of Vietnamese C&MA churches as a head pastor, Pastor Nguyen was elected as the District Superintendent. Moving to the Orange County office in California, he was responsible for overseeing all of the Vietnamese C&MA churches in the U.S. He served for a total of 20 years. He turns to a photo on the wall labeled “Centennial Celebration of the Gospel to Vietnam in 2011” and beckons me to look closely. Three thousand people of different denominations praised the Lord’s providence over people who were once displaced but now have emerged as a crucial part of the nation’s fabric. Three thousand people of different denominations praised the Lord’s providence over people who were once displaced but now have emerged as a crucial part of the nation’s fabric. In 1911, missionaries came to Vietnam from C&MA and various other organizations. In 2010, Pastor Nguyen co-chaired a multi-denominational committee to honor their foundations. This brought many denominations to praise together in the Crystal Cathedral in Garden Grove, California, on July 2, 2011. Pastor Nguyen reflects on how that panoramic photo showed that despite the challenges of the diaspora, people planted churches wherever they went — the United States, Australia, Canada, Europe, and within the homeland. His culminating leadership on the steering committee shows Pastor Nguyen’s testament to bringing God’s glory to the forefront throughout his time as `district superintendent. Despite the challenges of the diaspora, people planted churches wherever they went. Pastor Nguyen’s influence is no doubt a pillar of faith and has insurmountable future implications. I can hear the photos rustle now with each story told as markers of our faith history, where tragedy begot the beauty of thousands gathered to worship, but built a section of the body of Christ here in the United States and abroad. 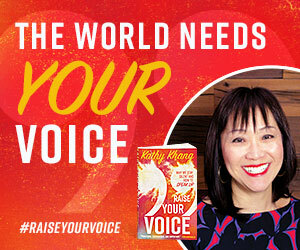 Ruth Le is the first American born child in her Vietnamese family that migrated to Boston, Massachusetts. 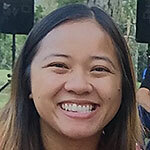 Chasing the sun to Los Angeles, she attended the University of Southern California for her Bachelor’s in Public Policy and received her master’s in special education at Loyola Marymount University. Her capstone project entitled “Building Communities through Restorative Practices in Schools” embeds student voice, critical hope and the practice of circle in bringing about safer classrooms. Called Ms. Le during the day, she is in her 4th year as a special education high school educator at Camino Nuevo High School co-teaching 11th grade English and geometry. Through poetry, facilitating dialogue and obsessive color coding, she hopes to continue exploring identity and spaces for sharing stories. Ruth enjoys playing volleyball, drinking sweet coffees, and browsing Spotify for new releases. 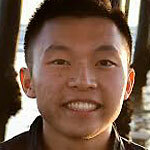 JACK YU is a business major at the University of California, Irvine. His creative spirit drives his passion for photography and blogging. You can check out his work at jackyuphotography.com.